Ashish joined Watsi on July 4th, 2016. Three years ago, Ashish became the 1978th member to automatically support a new Watsi patient every month. Since then, 3,128 more people have become monthly donors! Ashish's most recent donation supported Si Blu, a young woman from Thailand, to fund heart surgery. Ashish has funded healthcare for 31 patients in 10 countries. Filipina is a mother and grandmother from Malawi. She spends her days caring for her grandchildren, who live with her in her village, where she also maintains a small farm. Since last year, Filipina has been experiencing back and abdominal pain. She has been diagnosed with cervical cancer. She needs to undergo a hysterectomy, a procedure in which surgeons will remove her uterus. Our medical partner, World Altering Medicine, is requesting $650 to fund Filipina's surgery. 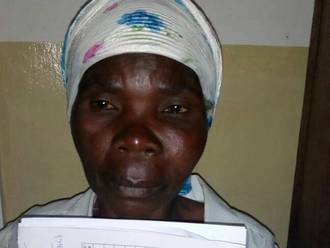 On August 24, she will undergo gynecological surgery at Nkhoma Hospital, our medical partner's care center. The requested money pays for supplies, medications, and seven nights of hospital stay. She is relieved to be helped through this surgery. Her family looks forward to her recovery, with her grandchildren waiting for her return home. She says, "I will be able to care for my grandchildren again who depend on me, thank you so much!" Jean Emile is a preschooler from Haiti. He lives with his mother, father, and two brothers in a neighborhood of Port-au-Prince. He has been attending preschool, and likes playing with cars and action figures. Jean Emile has a cardiac condition called large ventricular septal defect. A hole exists between the two lower chambers of his heart. Blood leaks through this hole without first passing through the lungs to obtain oxygen, leaving him sick and short of breath. Jean Emile will fly to Cayman Islands to receive treatment. On April 6, he will undergo cardiac surgery, during which surgeons will sew a patch over the hole so blood can no longer leak through it. 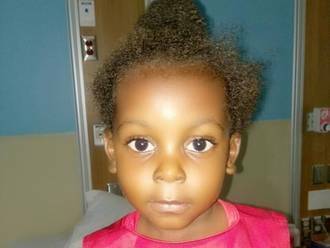 Another organization, Health City Cayman Islands, is contributing $17,000 to pay for surgery. Jean Emile's family also needs help to fund the costs of surgery prep. The $1,500 bill covers labs, medicines, and checkup and followup appointments. 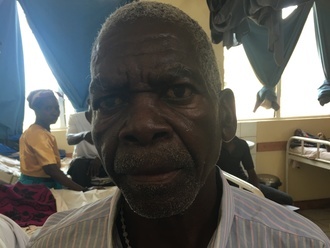 It also supports passport obtainment and the social workers from our medical partner, Haiti Cardiac Alliance, who will accompany Jean Emile's family overseas. His mother says, "I have been praying for years that my son could have this surgery. I am very excited the time has arrived!"